I have never, ever told anyone this story. It had always been just too disgusting, too embarrassing to recount. But in the spirit of sharing, I am willing to humiliate myself in order to bring you amusement. I was about ten years old and decided I wanted an after-school snack. I took a visual tour of the cupboard and a box of Droste cocoa caught my eye. At the time, these containers were quite decorative and sported a very old-world European look. Rich reds and golds and antique looking drawings made the promise of a special treat. I heated some milk on the stove and whisked in the cocoa until it was well blended and a bit frothy on top. I poured it into a mug and began to enjoy my drink. The first couple of sips were just what I expected; warm, chocolatey, sweet and satisfying. And then, with the third gulp, my teeth bit down on something hard. Something that my brain was immediately screaming shouldn’t be there. The hardness gave way to a crunch. The thing, whatever it was, crumbled in my mouth. It was so dry it practically burst in a powdery explosion. It was a solid piece of something that really did not belong in my hot cocoa. I reflexively spit the remnants out into my hand. It was a cockroach. Or more specifically, it was part of a cockroach as the other half was now inside me. It was so dry as to be practically dehydrated, which is what had given it that crumbly, powdery texture. I threw it into the sink and quickly wiped my tongue on the nearest kitchen towel. I knew that wasn’t going to take care of the germs or erase the horrible facts of what had just occurred, but I had to do something. I threw away the rest of the hot cocoa, pouring it down the sink, and then washed the sink so that there could be no reminder of the incident. I quickly ate a piece of bread and drank some juice, symbolically trying to get rid of whatever vestiges remained in my mouth. But I couldn’t expunge the image from my mind, which was the worst part. I never even considered telling my Mom, which in retrospect, was silly. Didn’t she need to know that our dry goods needed to be stored in a more airtight way? I decided that, while that was true, it was even more true that I just did not want to speak of this event. 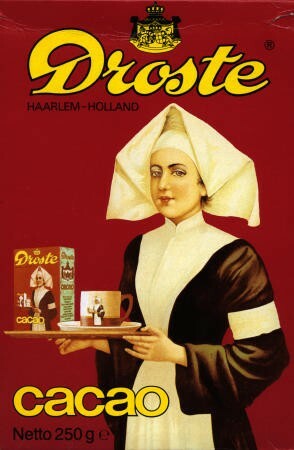 The box of Droste remained on the shelf. I don’t remember whether it was used or thrown out, but I can assure you that I didn’t drink any hot cocoa prepared at home for many years.